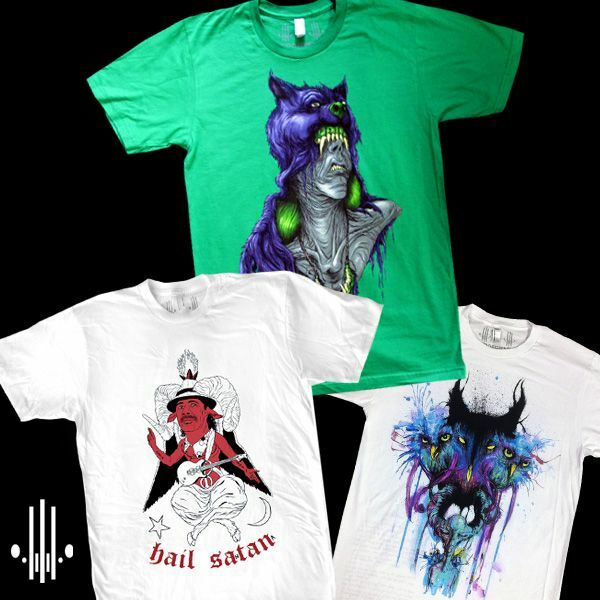 ALEX PARDEE'S LAND OF CONFUSION: Limited Shirts, Unlimited SANTANA! We opened our limited rogue's gallery, we are hailing a musical genius, and we are going on Advultures! Some brand new limited (and non-limited) items JUST went up for sale on the Zerofriends store and I would like to take a moment to channel my favorite seeing eye dog and guide you through our new products by just showing them to you in jpgs! Click any pic to view & purchase. This "JOKER EDITION" Colorway is part of our LIMITED EDITION LINE, and there are only 150 shirts available and once they are gone they will never be printed in this colorway again. 12-color discharged screen-print! A new addition to our Zerofriends 2.0 line c'HELL'abrates one of our favorite people in San Rafael, CA! One of our favorite images has never been available in T-shirt form and it finally is in a beautiful 11-color discharged screenprint! 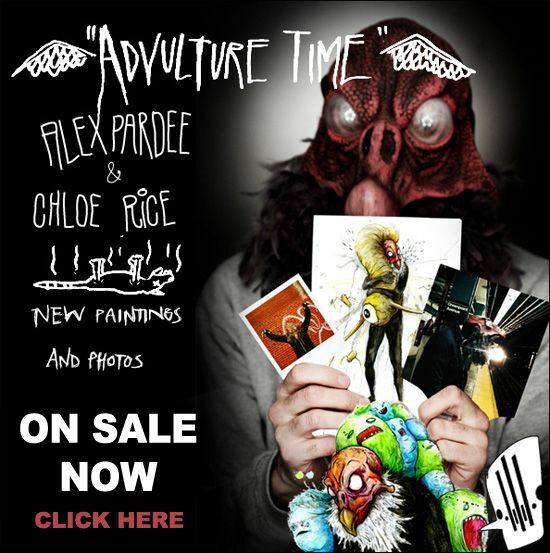 And lastly, all of the original art and photo prints from mine and Chloe Rice's "Advulture Time" Art Show are now available to purchase!